Yesterday I sat down to watch the opening day baseball game between the Houston Astros and the New York Yankees. I have always enjoyed baseball, both watching and playing, but the least interesting thing to me at any baseball game these days is when the home team takes the time before the game to introduce both teams, including bench players and support staff, to the crowd and then makes all of them lineup along the baselines and doff their caps and wave. Perhaps once upon a time this was okay because the players were regular working men, just like you or your dad, and these guys represented your home team, maybe for years on end and most likely throughout their entire careers, so it was nice to see them introduced and waving to the crowd while you waved back and got ready for the long season of baseball ahead…but now they are mostly all millionaire mercenaries who are just passing through your home town until their contracts expire or they are suspended for drug abuse or some other such extravagance. Anyway, maybe it’s just a sign of my age, for all things change over time and those ball[players are wealthy because we baseball fans buy merchandise and memorabilia and watch on cable and at the ballpark in numbers and with a disposable income that would boggle any third world mind…and I have to also admit that my team, (like I’m a part owner) The Yankees, has a new pitcher on their staff that is paid more money than the entire Houston Astros team so…there is that bit of first world insanity. And yet what flabbergasted me most during that interminably long opening ceremony was that one of the last members of the Houston Astros baseball team to be introduced was their Massage Therapist! There’s no massage in baseball!!! At least there never was. But if there now must be, can’t these guys afford their own massages??? I’m sure The Babe, Joe D. and Mickey indulged in some after game therapy of their own on occasion but they probably got the kind of massages that came with happy endings… and they paid for it themselves… at least! Geez, baseball and full time massage therapy! It can’t get much better than that can it? Three hours of work every day… of which maybe 15 minutes actually involves their running around and performing at top skill proficiency. You wouldn’t think they’d need so many drugs to keep themselves in top shape, let alone massaging at regular intervals. And then the game started and they all proceeded to play as though it were opening day at the local little league…what with all the tripping and the falling and the overthrowing and the bobbling… not to mention the swinging and the missing! Did you know that last year Major League Baseball players set a new major league record by collectively striking out over 36,000 times?! That’s at least 108,000 swings and misses. 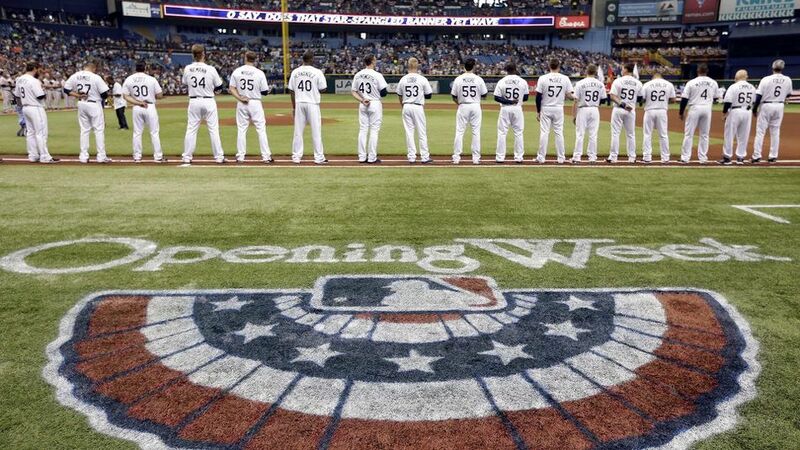 Throw in foul balls and pitches out of the strike zone and when you consider all of the nothing that happens at a ballgame, professional ball players make the opening day ceremonies look like a veritable Zumba Fitness Party! Still with all of that twisting and turning and swinging and missing and falling over and getting up again, I guess it’s no wonder that having a regular massage therapist on board makes a lot of sense for a baseball team. And just to make sure, I even checked the Yankees roster on-line and yep, they have a massage therapist too! And wouldn’t you know it, they have someone on their staff that not even the Houston Astros have thought of employing…not yet anyway…. …and that would be Mr. Chad Bohling…Director of Mental Conditioning! Maybe the Yankees are on to something. However, when it comes to baseball these days… and professional sports in general…I am beginning to believe that it’s us fans, and not the rich, pampered and adored players, who are really in need of having our heads examined. I’m not a huge baseball fan, but if I watch baseball it has to be live at a local venue where you can actually see the field and it must be between small-time teams with players who aren’t that skilled, but still know what it is to strive to play well. I’m not into sports at all–but I know the therapeutic value of good massage–it saved me after a bad accident some years ago. So it doesn’t surprise me that the teams have them; it’s a good investment. Then the players can go pay on their own for that other kind of massage.